Berkeley's Greater Good Science Centre offers up 30 days of links to helpful articles in their magazine. SPUD offers UVic students, staff and faculty a $35 local, organic produce box for only $20 a week. Order on the UVic Sustainability Movement’s website and get your weekly food box delivered to campus! Also, SPUD's website has a blog with great tips and recipes. At UVic, students help each other, their wallets, and our planet. People at UVic toss 3,000 (yes, you read that right) paper coffee cups every. Single. Day. This is such an easy fix! the coffee cup and plastic lid in the orange bin. All food - including meat and bones - can go in UVic's compost bins.UVic's disposable cutlery is compostable!UVic's smoothie cups go in the green compost bins too. This BC Transit video shows how dead easy it is to get your bike on and off the rack. If you can find your way around Clearihue, you can do this. These student-driven initiatives run the gamut from Community Cabbage to the Free Store (yes, that's right a free store!). UVic's Office of Campus Planning and Sustainability has loads of info and connections, and so do the UVic Students Society and UVSM. Twice a year, UVSM hosts the University of Victoria Environmental Round Table (UVERT), where students (and others) from across campus meet to talk about what they're doing, what they want to do, and how they can make it happen. In this video, award-winning Student Sustainability Champion (2014) Miranda Maslany (Environmental Studies major/Business minor) talks about what UVERT is, what it meant to her, and what it could mean for you. Watch this space for the next one, or sign up for the bi-weekly UVic sustainability newsletter by emailing action@uvic.ca to hear about all kinds of great events. I can do without the doom and gloom (I know the oceans are full of plastic bits, I know plastic kills wildlife) so I skimmed over the why-you-should-care sections. However, I found sections like “The First 10 Steps Anyone Can Take Towards Living a Plastic-Free Life” useful. I also took issue with the oft-stated assumption that living with less plastic is going to cost me a lot more money. Au contraire! Reusable bags are easy to find and either inexpensive or free. 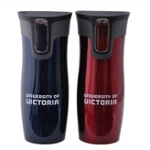 A reusable mug might cost $10 (or much less at a second-hand store) and will pay for itself after a few days or months of not paying the hidden costs per disposable cup (many coffee shops in Victoria and all the food service outlets at UVic deduct twenty-five cents from the price of your beverage if you supply the cup). Bringing my lunch in a reusable container reduces plastic and also saves me a ton of money – probably enough to spend on fancier non-plastic things, if I want. How do you live more sustainably outside your house? 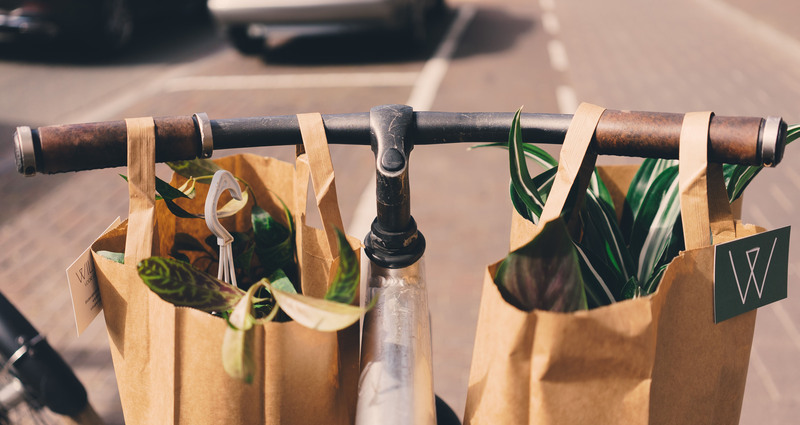 What do you do at home to make sustainable living easier? What have you told someone about that they then started doing themselves? And so you know: a lot of the things these ASU students talk about are normal practice @UVic and around Greater Victoria, like our awesome community recycling and composting programs. The Capital Regional District has a Green Clean book with dead simple enviro- and wallet-friendly recipes for cleaning supplies like laundry soap, toilet cleaner, and ammonia-free spray cleaner. Here's the scoop on whether baking soda is really a greener clean, thanks to Grist's Ask Umbra. The "Clothes and stuff" and "Recycle" tabs have more ideas, too! What goes where in all those different bins on campus and in res? The Capital Regional District's My Recyclopedia has tips for reducing, reusing, and recycling. Also, there are facts about the environmental impact of, and alternatives for, all kinds of stuff. And if you can't find the answer online, they've got a phone line: 250 360 3030. BC Farms and Food has a website, a video, a map to finding local products and restaurants on Vancouver Island. You'll get hungry just looking at the pictures! The registered charity Meal Exchange believes that post-secondary campuses are an ideal leverage point for tackling food security and sustainability in Canada, and that student leaders have the power to drive this change. They provide students with mentorship and resources, and connect them with their peers and stakeholders across the country. They run several different programs and even hire students! Check out the site for information and opportunities. Fifty per cent of UVic Food Services food is local! They also serve Beyond Fair Trade coffee, and their recycling and composting programs lead the way for other big organizations across the country. They even recycle cooking oil for biodiesel! The website has more details about their sustainability initiatives. UVic Food Services has lots of vegetarian items. There's a complete list of places to eat on their website - check it out for menus and hours of operation too. Village Greens has vegetarian and vegan choices, hot or cold, main dishes to desserts. It's closed over the summer and will reopen on Sept 7, just in time for classes! Since 2015, the student-run UVic Sustainability Project (UVSP) has been running a special deal with local distributor SPUD for $20 food boxes for students (and also people who work at UVic). The deal is: order through the UVic Sustainability Project website and get your weekly food box delivered to campus! SPUD's website has a blog with great tips and recipes, you can sign up for a newsletter to get regular updates, and more!